I pulled out three stencils with varying pattern sizes (including the Hearts of course). 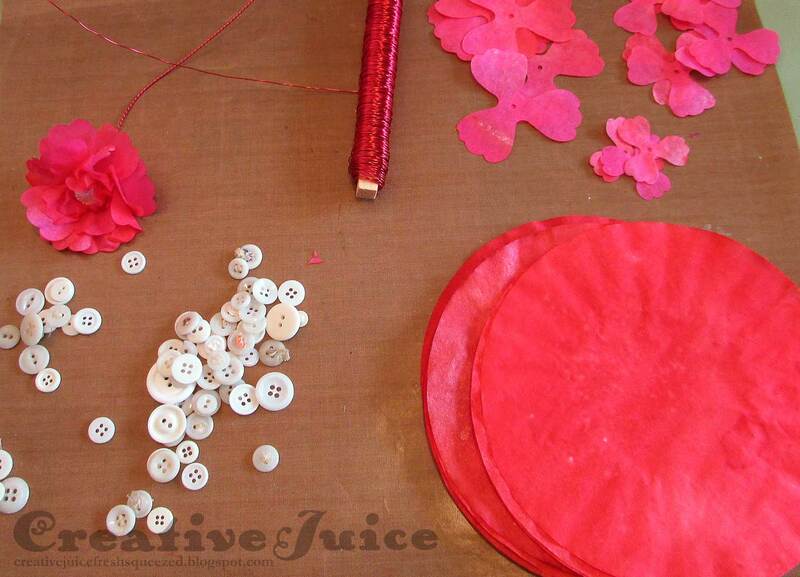 I started out with the largest pattern (a Stencil Girl stencil) and used pink (Tutu) to lay down a base pattern. I followed with the other stencils, using Flagstone and Stop Blends inks. There is no real right or wrong way to layer stencils. Just go for it and experiment! When using the Blends, I started with a light touch and built up the color intensity. If you press too hard with the sponges, you will activate the ink dispenser embedded in the sponge and get a big ink blob. Depress it onto your craft sheet to "recharge" the ink in the sponge. I used the same technique to blend color onto the bird pieces (Flagstone and Wildberry). Use a light touch and build up the layers. I also used a Distress Marker (Hickory Smoke) and the Spritzer to add speckles to the bird. I glued the end of the twisted wire in between the two bird halves as I was assembling it. Now for the flowers! I started by misting several white coffee filters with various colors of red and pink. I also sprayed some with Perfect Pearls mist for a touch of glimmer. I used the Pansy Flower die to cut multiples of parts out of the stacks of filters. You can cut several at once with the steel ruled dies. I raided my button stash for flower centers and pulled the red wire out of my Christmas box. 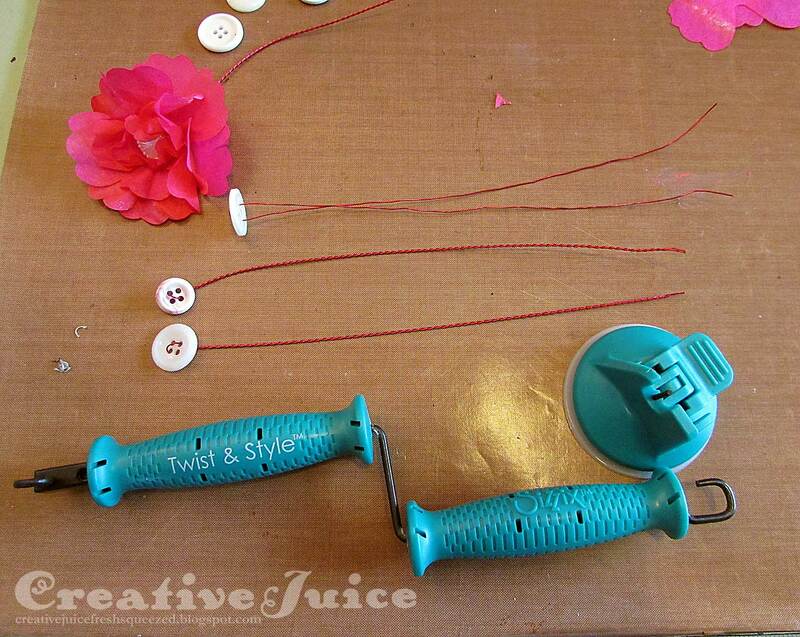 The flower stems are easy to create with the Twist & Style Tool. 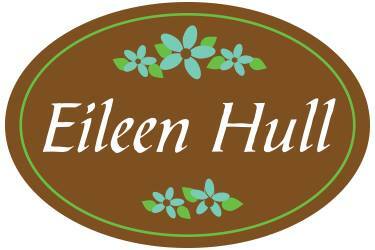 (See Eileen's video for a full demo of the Tool.) Cut an 18" length of wire, fold it gently in half, and poke the ends through your button. Fasten the ends into the end of the Tool with the clamp (not the hook end). The button end goes over the center post in the suction clamp. Holding the wire taut, twist the tool and in moments you have a perfect flower stem. 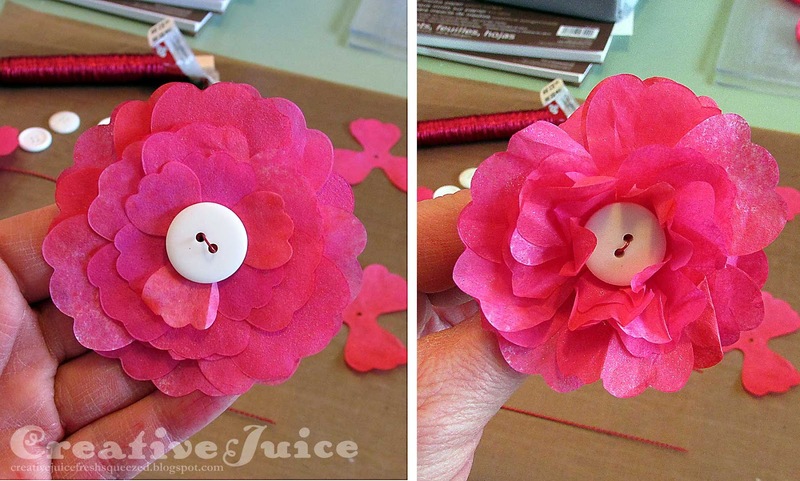 Thread the stem through your stack of flower parts and add some glue to the back to hold them all in place. The coffee filters are thin like tissue paper so it's easy to fluff and crinkle the layers to give the flowers more volume. 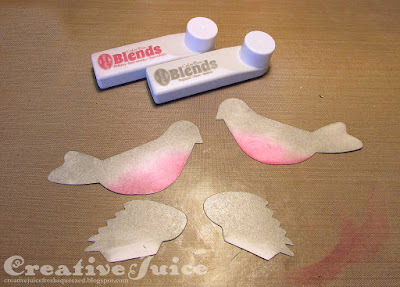 If you use cardstock and want to "fluff" them, try lightly misting with water and then manipulate the paper. I cut a small piece of florist's foam to fit into the vase and covered it with a bit of cotton batting. Just poke the flower stems through the batting into the foam. Another project like this I made, Halloween themed, can be found HERE. It's so easy to adapt these vases of flowers to fit any holiday or theme! I am also entering this into the Emerald Creek Dares Challenge 'Rock the Red'. I think my project is pretty red lol! These are SO COOL, Lisa. I would love to see a video of this process! Lisa, thay is gorgeous flowers and pot! Love how you decorated the pot with stencil :) very unique. So pretty and a great tutorial Lisa! OH WOW I love this!!! i so envy your flower making skill!! sweet project Lisa! Oh those flowers Lisa! I love how the vase turned out! Beautiful project! Love the flowers!! 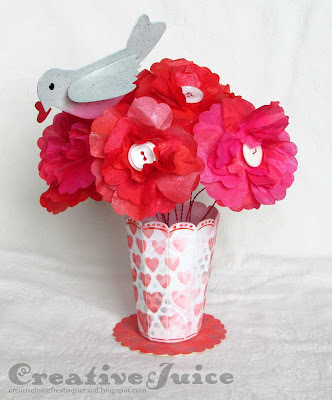 The vase part looks beautiful and I love the layers of stencils!